Is the BCDA in cahoots with Ayala? Sobrepena now a fugitive of justice? Is the end near for the Camp John Hay dispute? 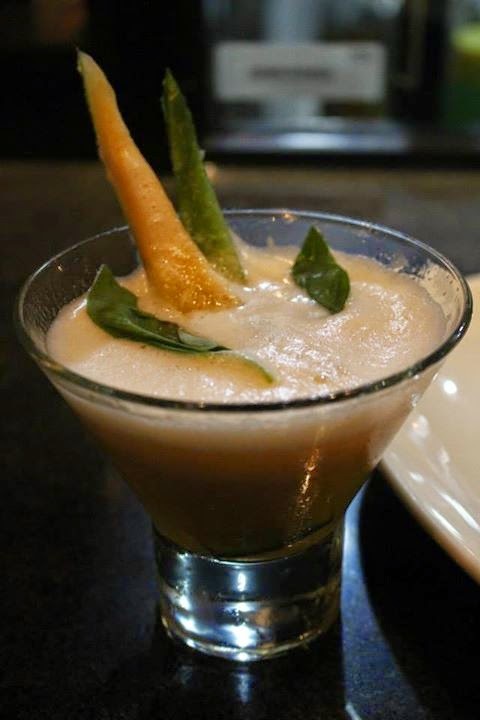 After my last visit at Sunshine Kitchen, I was ecstatic when I got an invite from Chef Tanya to come back and sample their new menu items and cocktails. Sunshine Kitchen is one of my favorite restaurants in the country so it did not take long for me to say yes. Tim Walters of Barmans Mix was on hand to introduce the new innovative concoctions at Sunshine Kitchen. The names of the cocktails really caught my attention and that does not happen often. The night started off with a Pear-fect drink literally. 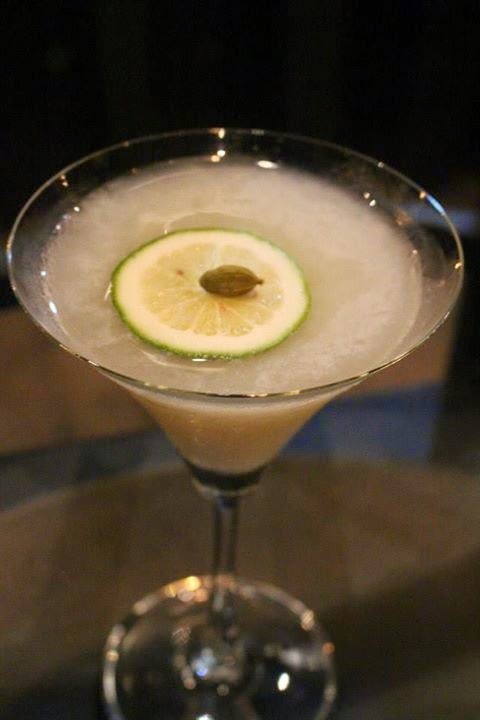 This drink contains Absolut Pure Vodka, organic Guyabano and spiced Cardamom. It is the perfect drink to get you started for an evening of great conversation and even better food. It was paired up with Pan Seared Shrimp & Mushrooms. The two of them deserve each other and the shrimps were really good. Next up, it was the Tea-to-tal-er. 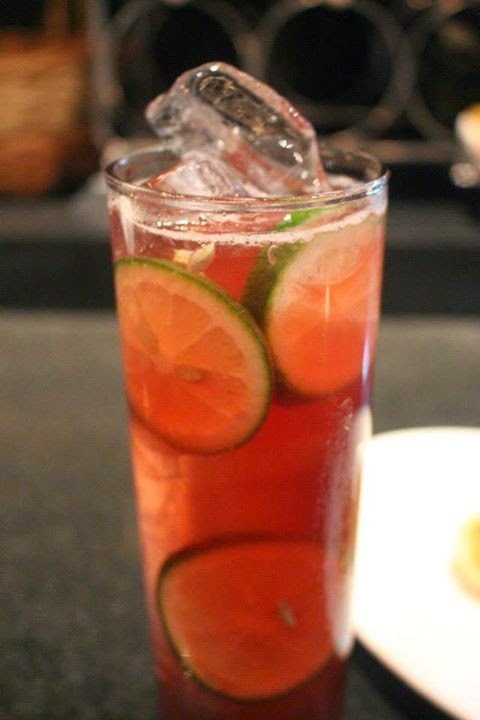 The drink contains Tanqueray Gin laced with English breakfast tea Cranberry and sloshed with crisp tonic. It has that nice after taste that you would crave for. The Chicken & Mushroom Vol Au Vent tasted so good that I did not see much of it due to the fact that it ran out in a matter of minutes. You know a dish is good when that happens. The Sun also Rises is my favorite out of all the drinks that were served. It has Makes Mark Bourbon, Strong earl grey tea combined with freshly muddled cantaloupe melon. One glass of this drink won't be enough for me, that's for sure. 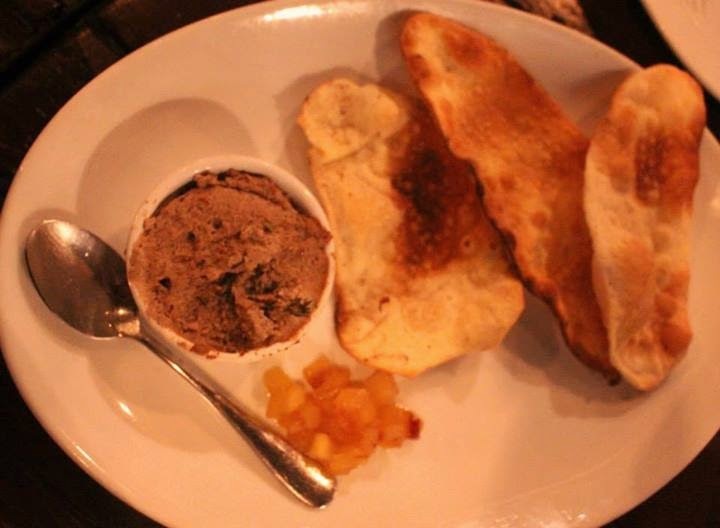 Bourbon & Thyme Live Pate with Warm Caramel Apples is a dish for those who are looking to eat a light snack while sipping on that delicious cocktail. Those who love to get spiced up would love the Outlaw. 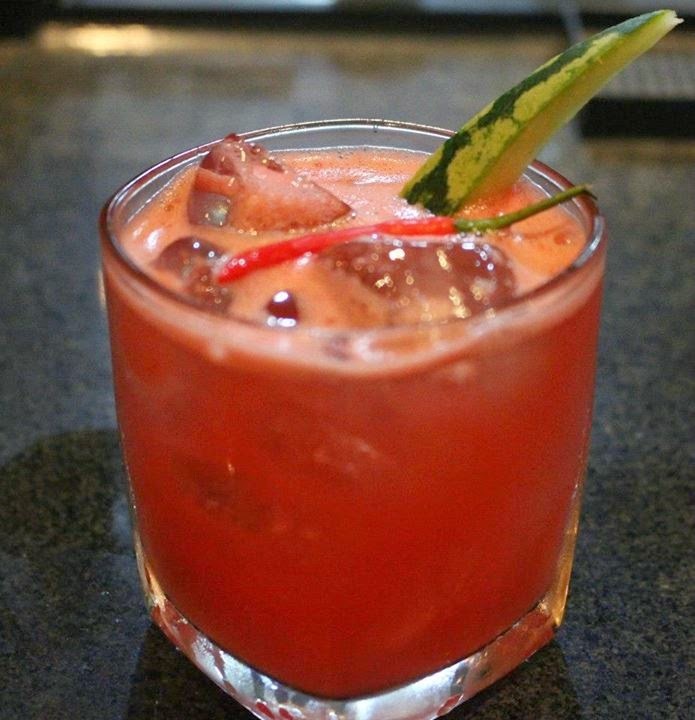 It is ripe red watermelon help up with spicy chillies and blasted with 100% Agave, 1800 Reposado Tequilla. Unfortunately, I have low tolerance on spices so I opted to pass on this drink but I saw the other people who sat with us at the table really had a blast with the drink. 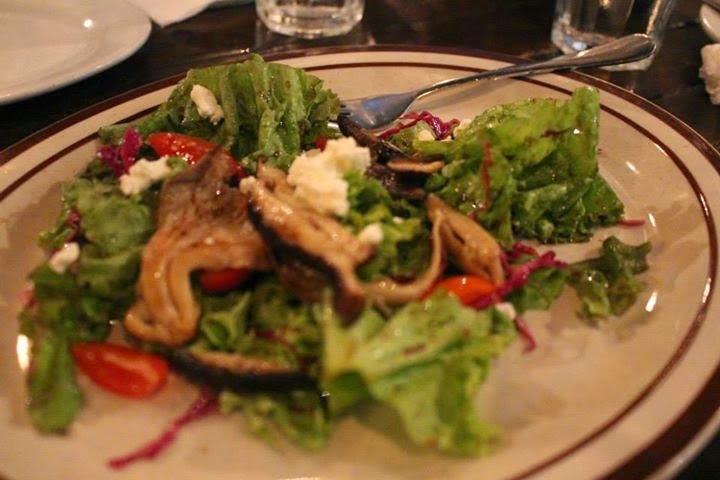 Health buffs would love the Grilled Mushrooms with Feta Cheese Cherry Tomatoes, Mixed Greens and Honey Balsamic Glaze. I would really recommend this for the vegetarians out there. I really loved the combination of the honey balsamic glaze and the greens. 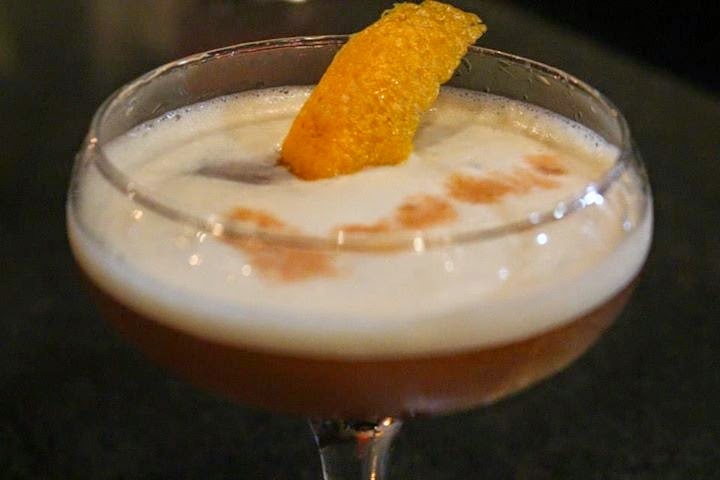 The Delux is the type of drink that will make you say "Ahhhh" after sipping on it. 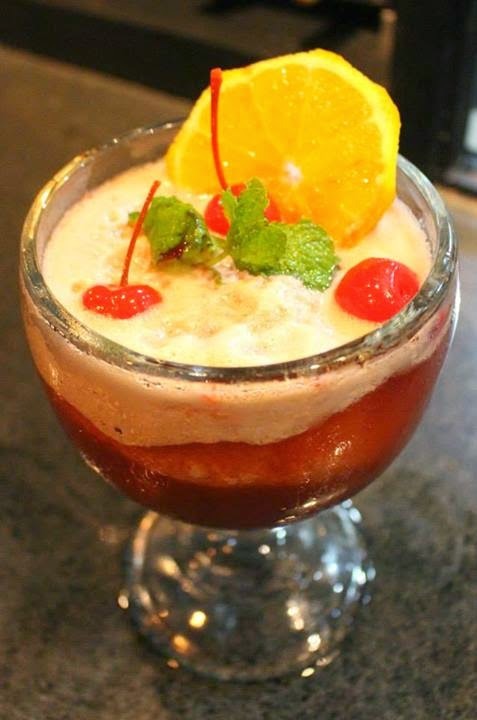 It is Hennessey French brandy and English legend Pimm's #1 flirting with sweet tropical passion fruit. I got addicted to this drink real fast. 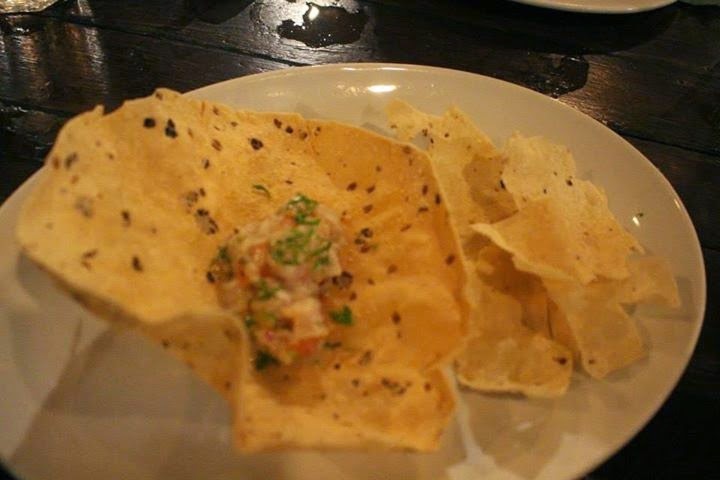 It is paired up with Asian Style Ceviche of Mackarel with Fried Pappadum. Now, I don't like eating fish but this dish just made me a fan. The only Sunshine Spirit that's good for two is the Cup full of Sunshine. It is ideal to drink this with your date using two straws. It uses local sensation Don Papa Rum, Lai'd on House infused Ginger Casis, Dry Noilly Prat & sun kissed with sweet tropical juices. Your date is going to be off to a good start when you have this drink. 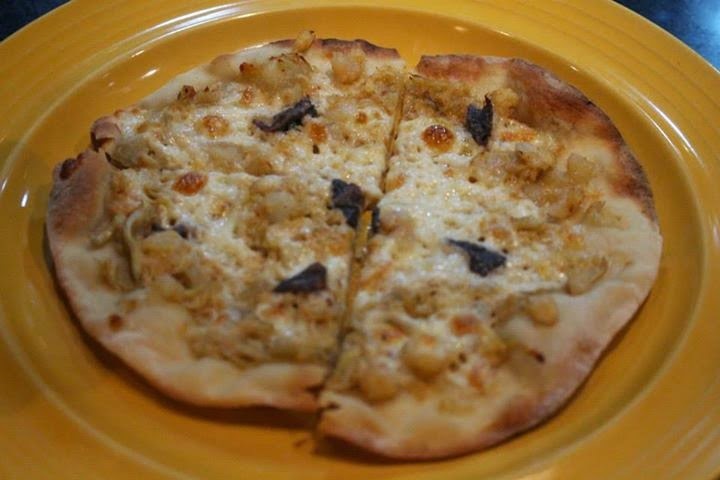 I love the pizza at Sunshine Kitchen so I was delighted when I found out they have a new pizza item, Mixed Seafood Pizza with Anchovy. This pizza just made me forget my name because it was that good. I really recommend it! I got another taste out of their house specialty, the 6 Hours Slow Roast Porchetta (P550). 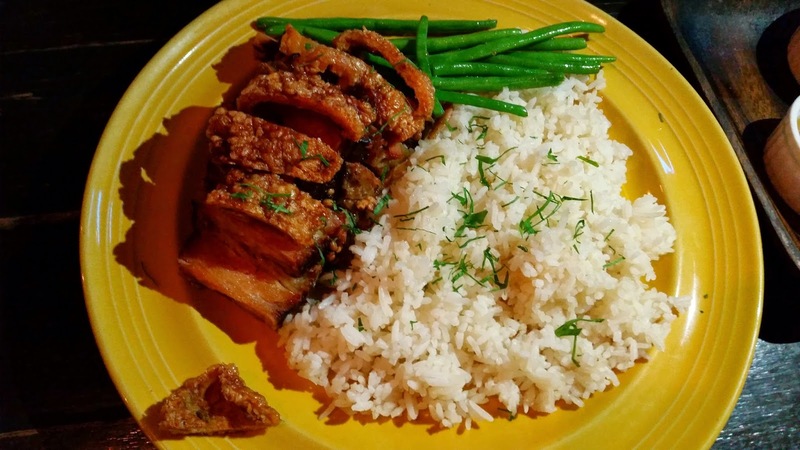 Whenever you dine here at Sunshine Kitchen, this dish should already be on the list of food you are going to order. 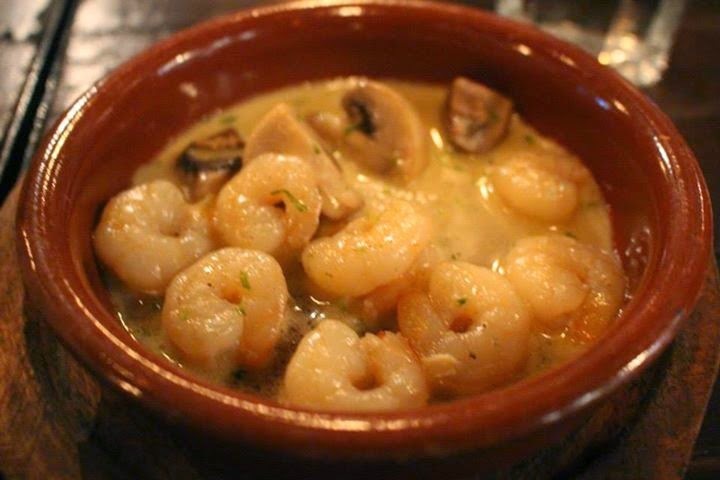 You don't know what you are missing if you have yet to try this dish. When a pizza is named after the name of the restaurant then it has got to be real special right? 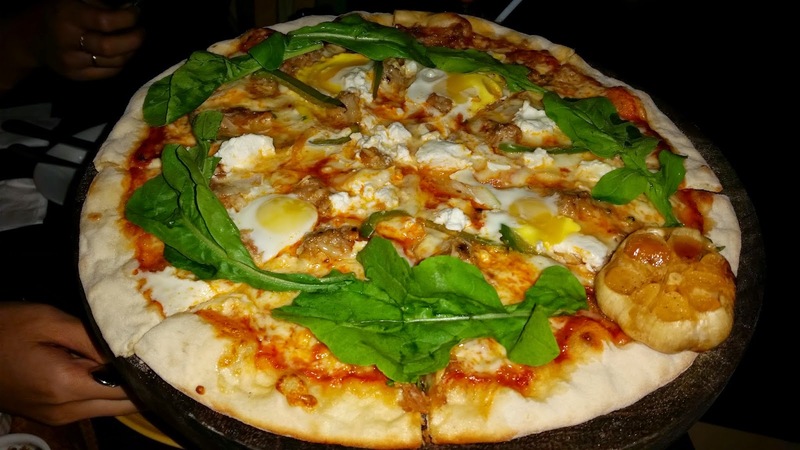 That is exactly the case with the Sunshine Pizza (P550). The main ingredient here is Cabanatuan longganisa due to the fact that one of the partners, Myta hails from the beautiful city of Cabanaturan. This pizza is impressive in so many ways I can't even imagine. I would also have that big smile on Tim Walters' face if I could also have a photo op with the beautiful Sunshine Ladies. Lucky Tim! =D There is no doubt I will be at Sunshine Kitchen again and again and again. I really love this place. 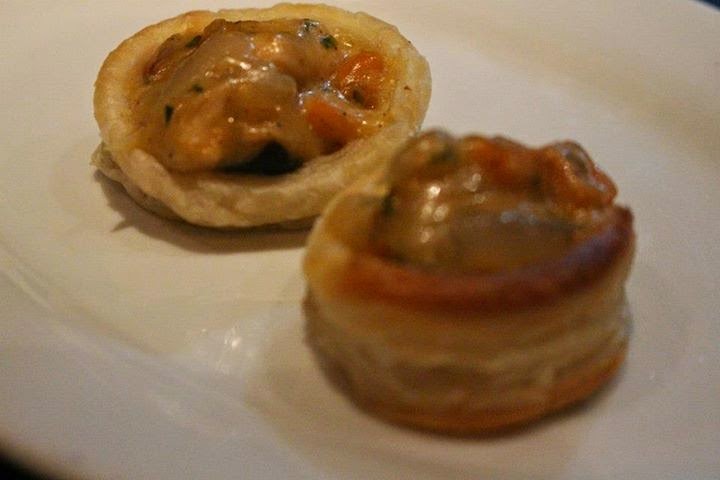 The serving of Chicken & Mushroom Vol Au Vent seemed so small and is good only for one person. 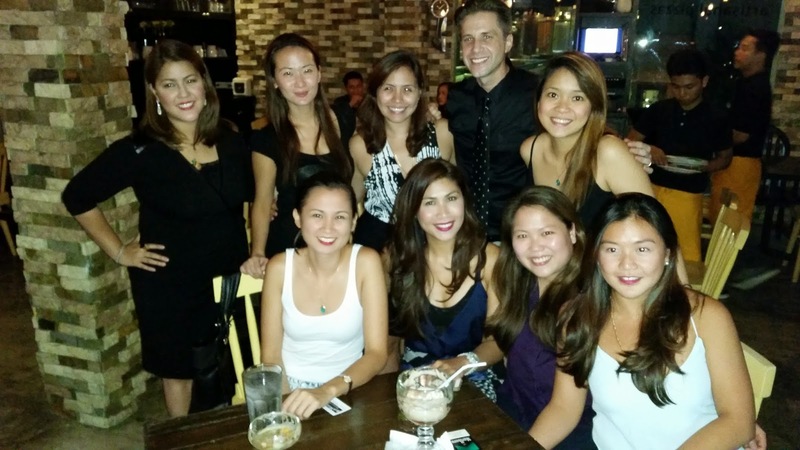 Definitely, I think the drinks and food here are worth to try!